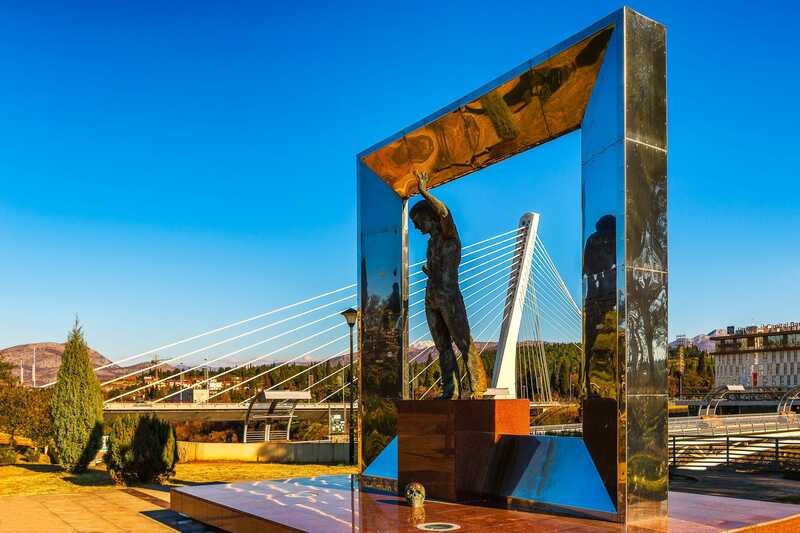 It seems that this country loved this artist – as his statue is one of the very few in the capital Podgorica. The shiny posture of the singer stands out on the yellow ground of the park along the river. With The Millennium Bridge in the background, it was an excellent composition for a photograph. 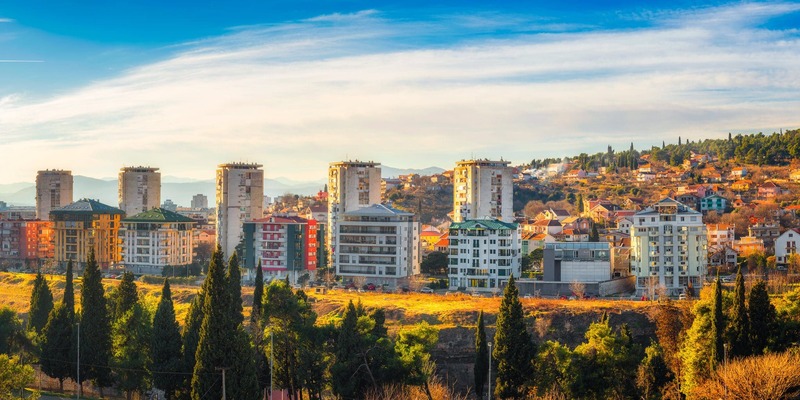 From many points in the city, you can see the dark lines of the Montenegrin Mountains – these are typical “elements” for the city skyline. Naturally then, they had to have their “place” shown in my photograph, when I wanted to capture the living area of the capital of Montenegro. I was delighted about the composition of the contrast of nature, politics and our modern days. 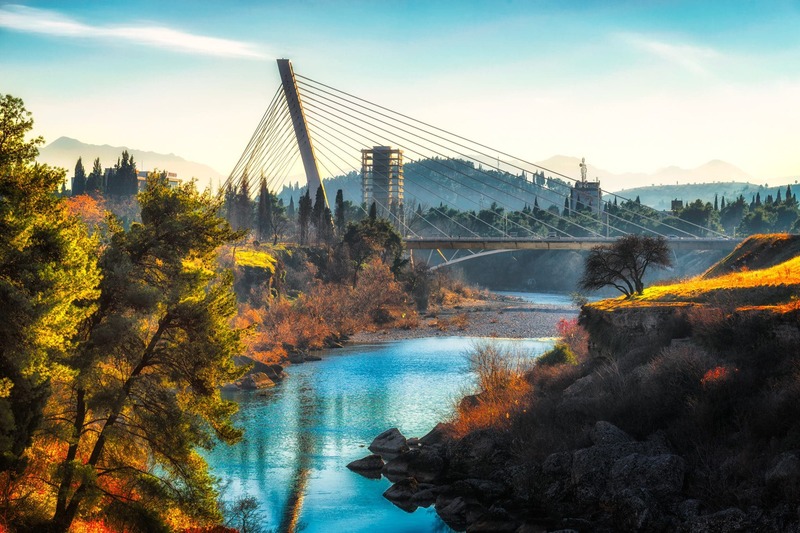 This is a photo that displays The Millennium Bridge and the centre of Podgorica, the capital of Montenegro. Does it not look more like a landscape photo, rather than a typical cityscape picture? You bet! The capital of Montenegro reaches a total of just 200,000 people; a stark comparison to Berlin with its 3.5 million inhabitants. So far, it is the smallest European capital that we have visited, which is quite a change for us. Podgorica city centre is unlike any other city I have ever seen in my life. I expected small shops and touristic places in the middle of the capital Montenegro. To my surprise, the centre was sprinkled with small houses! On this side of the district though, you can see the Clock-Tower, which dates right back to the Ottoman times. 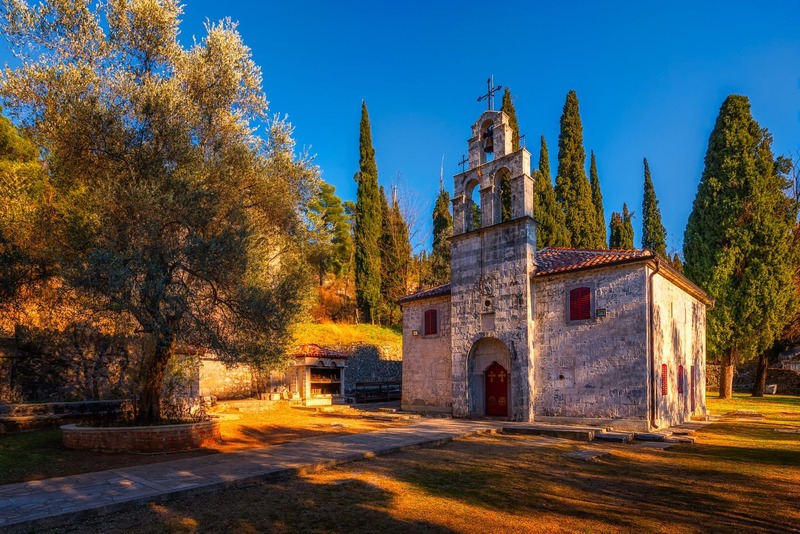 This small Orthodox church of St. George is the oldest church in the capital of Montenegro. 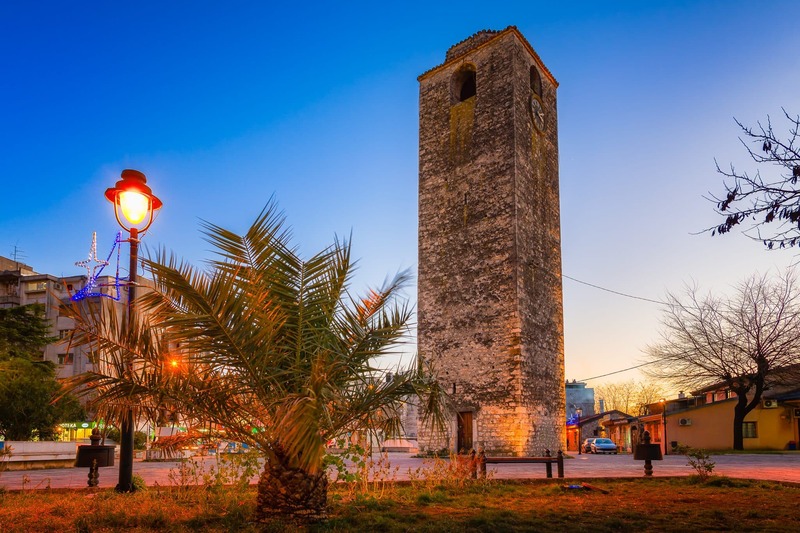 It is situated on Gorica hill (‘Gorica’ in Montenegrin means small hill and ‘pod-gorica’ means literally under small hill). When we visited this site, the church itself was closed – so we couldn’t admire the famous frescos inside.